As a condition of using this website, the user agrees to comply with and be subject to all of the following terms and conditions of use. For sales made in NSW, the sale of liquor pursuant to the offer to purchase from this website is made at the Little Bay Cellars licensed premises attached to licence number LIQP700-351489. Your contract of sale is with Little Bay Cellars. The liquor is sold from our website by our licensee on behalf of Little Bay Cellars. Accordingly, your offer to purchase is subject to acceptance of your offer by the holder of the liquor licence, certification and evidence of you being over 18 years of age, the availability of stock and the liquor which is the subject matter of your offer being ascertained and appropriated at the abovementioned licensed premises. The materials (including all software) and services at this site are provided "as is" without warranties of any kind including warranties or merchantability, fitness for a particular purpose, or non-infringement of intellectual property. Little Bay Cellars’ obligations with respect to its products and services are governed solely by the agreements under which they are provided and nothing on this site should be construed to alter such agreements. Little Bay Cellars further does not warrant the accuracy and completeness of the materials, information or services at this Site. Little Bay Cellars may make changes to the materials and services at this Site, or to the products and services described in them, at any time without notice. The materials and services at this Site may be out of date, and Little Bay Cellars makes no commitment to update the materials and services at this Site. When placing an order with Little Bay, you confirm that all the details that you have provided in completing the order and offer to purchase the liquor are true and correct. 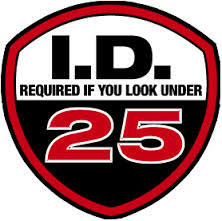 It is a condition of purchase that you verify that you are 18 years of age or over. If you do not confirm that you are 18 years or over, your order will not be processed. Little Bay Cellars do not accept Cheques. In-store prices apply to all ‘Click and Collect’ orders. ‘Click and Collect’ and delivery ‘Terms & Conditions’ and ‘Returns ‘ policy apply to all ‘Click and Collect’ facilities. You may email us about any ‘Click and Collect’ collection matters by using the "Contact Us" facility on littlebaycellars.com or by telephoning Little Bay Cellars during business hours on 1300 978 978. In these terms, conditions relating to "deliver" and "delivery" of products apply also to the ‘Click and Collect’ facility. Little Bay Cellars will not deliver unless all requested delivery details are provided when you place your order. You agree that Little Bay Cellars may rely on any person who is at the address you gave for delivery, and who takes receipt of your ordered products, as being authorised for that purpose. Little Bay Cellars will not deliver your order if we consider any delivery circumstances may be unsuitable for any reason, including because any likely recipient of the ordered products appears to our delivery personnel to be under the influence of alcohol or drugs, under the age of 18 years or acting for or on behalf of a person who we consider may be unsuitable for any reason (including because they may be under 18 years). Little Bay Cellars may not deliver your order if any of our requests for verification (such as proof of identity or age) are not met. Little Bay Cellars will endeavour to deliver within the times nominated and paid for by you at the time of your order. You accept the risk that occasionally, due to circumstances which we have not foreseen, delivery times may be longer than times nominated and paid for by you. If having commenced delivery or preparation for collection of your order, Little Bay Cellars return any ordered products to our store, or in the case of ‘Click and Collect’ orders, any of your ordered products are not collected after receiving confirmation that your order is ready; Little Bay Cellars will refund the amount paid by you for those products (in the absence of an arrangement with you for re-delivery or collection), you agree that we may deduct an amount from this refund amount on account of the costs incurred by us in returning the relevant products to our store. You agree that we may make such deduction where we were unable to deliver due to circumstances beyond our reasonable control (including because of the wrong address appearing to us to have been given) or where we did not complete delivery because of any of the "Delivery pre-conditions" above not being met. You may email us about any non-delivery matters by using the "Contact Us" facility on littlebaycellars.com or by telephoning Little Bay Cellars during business hours on 1300 978 978. You may email us about any non-delivery or ‘Click and Collect’ collection matters by using the "contact us" facility on littlebaycellars.com or by telephoning 1300 978 978 during business hours. You agree that you cannot change or cancel an order after it has been placed. If you wish to change or cancel your order please contact us on 1300 978 978 during the business hours, or via email, as listed on our website. If Little Bay Cellars agree to you changing or cancelling your order after it has been placed, we may do so subject to you providing proof of purchase, to the ordered products being in their original condition and packaging. You will be required to pay an agreed amount commensurate with the reasonable costs of processing the change or cancellation. If your order has already been processed, you may still be able to return your order, directly to Little Bay Cellars. ‘Returns & Refunds’ conditions will apply. Little Bay Cellars may record all details of and incidental to deliveries. Our records may include details of the forms of verification referred to above and taking a photograph. We will only use and disclose such records for reasonable purposes, which may include proof of delivery, administration, complying with record keeping requirements under liquor licensing laws and law enforcement. You agree that risk of loss or damage to products purchased by you passes on delivery. This includes where delivery is to unattended locations (such as locations which are not attended by any person or which are attended by a person who is not acting on your behalf). You agree that title to the products you buy from us (and the place of our supply of those products to you) occurs at the place where Little Bay Cellars dispatch the products to your order. We do not supply alcohol to you at places which are not licensed under applicable alcohol licensing laws, even though such other places may be the delivery location. Immediately on us making a refund to you for any products (less any amount you have agreed Little Bay Cellars may deduct, for example under "Delivery returns/Non-collection” or “Cancellations” above) you agree that title in those products shall pass back to us. These terms are in addition to and do not limit additional delivery and ‘Click and Collect’ information Little Bay Cellars provide. This includes the information at the following links: littlebaycellars.com/ delivery-information and littlebaycellars.com/ click-and-collect. Such information may cover matters about delivery options; what constitutes a case of alcohol; delivery costs; how to estimate delivery costs; the circumstances when Little Bay Cellars do not charge for deliver and the limits on those circumstances; locations to which Little Bay Cellars deliver and locations to which Little Bay Cellars do not deliver; unattended deliveries; deliveries to multiple addresses and delivery exclusions. Such delivery and ‘Click and Collect’ information forms part of these terms and conditions. Little Bay Cellars may notify you of delivery conditions relating to your particular order at or before the time of processing it. Little Bay Cellars’ terms and conditions, may change or be suspended or terminated from time to time. These changes may relate, amongst other things, to our delivery charges. We will give advance notice of any such matters on littlebaycellars.com. Continuing to use any Little Bay Cellars facilities, including using or ordering from littlebaycellars.com after the period of advance notice has expired will be deemed acceptance of the amended terms and conditions. Little Bay Cellars supports the Responsible Service of Alcohol (RSA). Products are not available to under 18's. 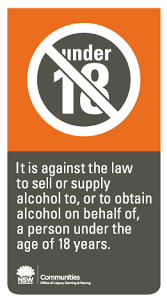 It is an offence to sell or to obtain liquor on behalf of a person under the age of 18.